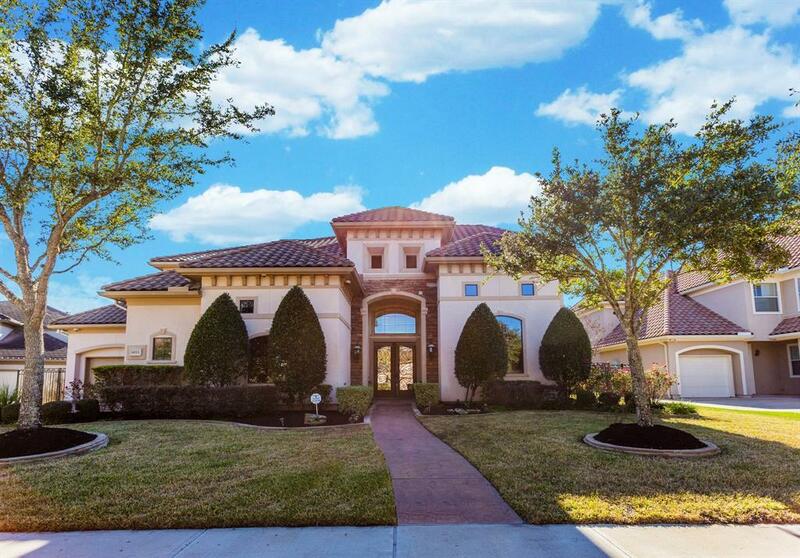 Spectacular custom Westport home in the gated community of Waters Cove features 2nd bedroom down, heated pool & spa, recent paint, plantation shutters and stunning designer details throughout. 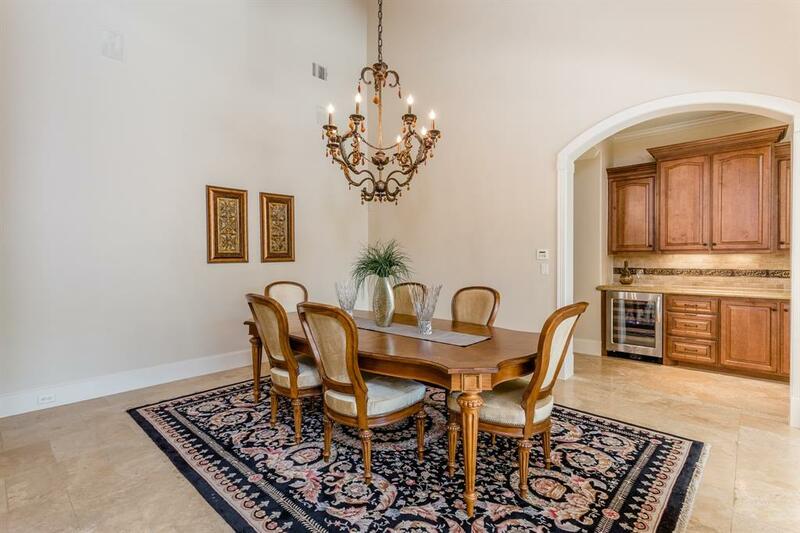 Fabulous foyer with domed ceiling & wrought iron staircase opens to study & elegant dining room with butlers pantry. 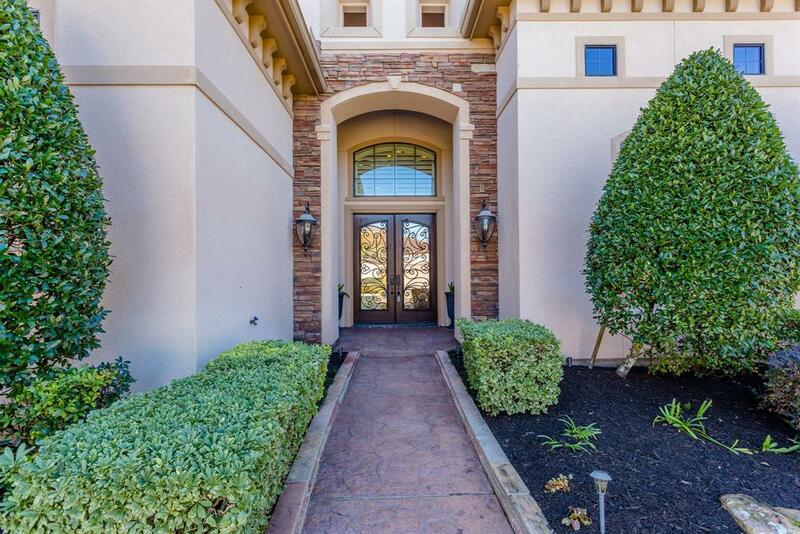 Archways lead to living room with seamless glass windows overlooking the pool, cast stone gas log fireplace & entertainment center. Gourmet island kitchen has custom cabinets, granite counters, S/S Viking appliances including built-in refrigerator, breakfast/serving bar and nearby utility room with washer & dryer. Master bedroom offers a sitting area & private access to pool and master bath has dual sinks, whirlpool tub, shower & amazing custom closet. Upstairs has media room, game room with covered balcony and secondary bedrooms with en-suite baths. Private backyard has gorgeous pool/spa with fountains, built-in fire pit, plenty of yard space, covered patio & outdoor kitchen.